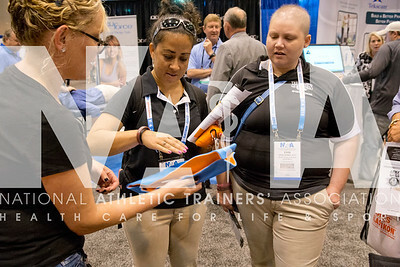 Renee Fernandes/NATA Theodora Scott, MS, ATC left and Erin Dowd, ATC, take a close look at the equipment with Sindi Scheinberg of Sam Medical during the AT Expo. 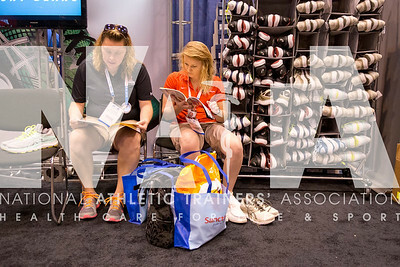 Renee Fernandes/NATA Kathryn Burford, MSE, ATC, left and Sierra Fultz, MA, ATC take a look at a catelog in the Asics booth. 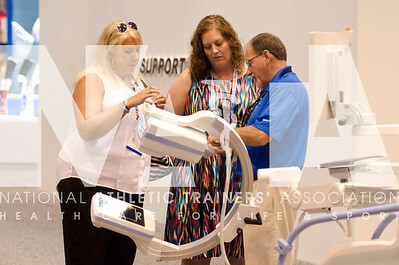 Renee Fernandes/NATA Amy Kunigonis, MS, ATC tries out the Accu-Stretch machine with Vinny Houston at the Baily booth in the AT Expo. 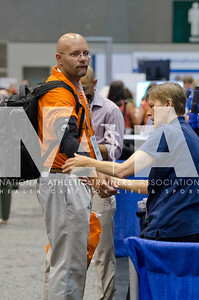 Renee Fernandes/NATA Jason Weddle, ED, ATC, LAT tries on a UCL pitcher's brace during the AT Expo. 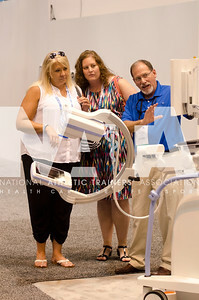 Renee Fernandes/NATA Mary Ann Love, MS, ATC, left and Teah Sonicksen, ATC talks with Richard Keil of Hologic during the AT Expo. 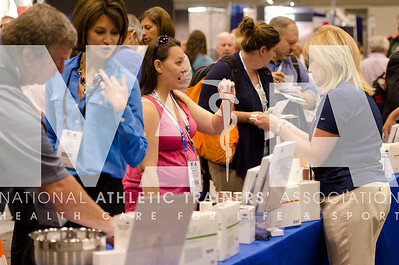 Renee Fernandes/NATA Stacey Ayles, ATC in pink talks with Hartman reps during the AT Expo. 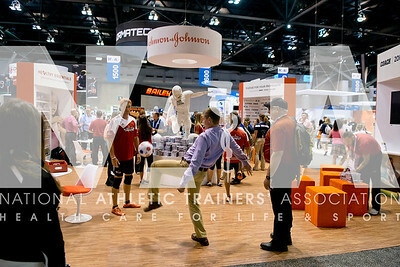 Renee Fernandes/NATA Jay Clark, MED, ATC, and Katharine Gray, MED, ATC, check out the massaging device by Magister Corporation during the opening day of the AT Expo. 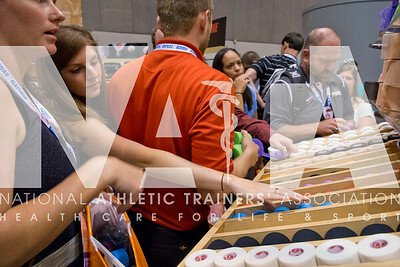 Renee Fernandes/NATA Eren Havrilak, ATC, CSCS, OTC, gets a cold pack at the Cramer booth during the opening day of the AT Expo. 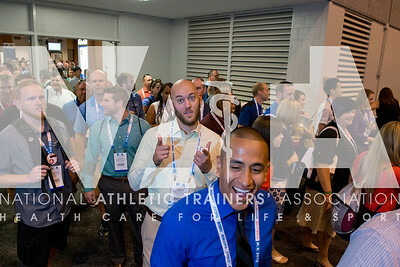 Renee Fernandes/NATA John Coots, MED, ATC, VATL, is front and center as he waits for the opening of the AT Expo on Wednesday. 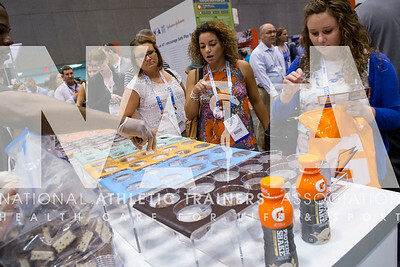 Renee Fernandes/NATA Athletic trainers stand in line to try different products at the Gatorade booth during the opening day of the AT Expo. 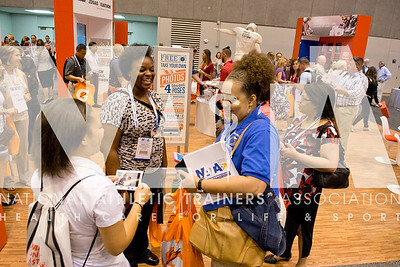 Renee Fernandes/NATA Tracey Beckman, ATC, LAT enters the AT Expo. 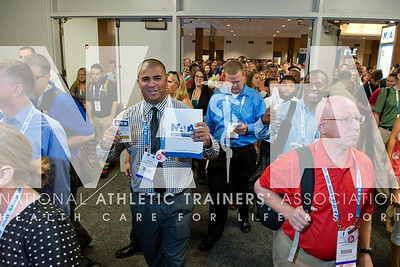 Renee Fernandes/NATA Neema Kianfar, MS, ATC enters the AT Expo. 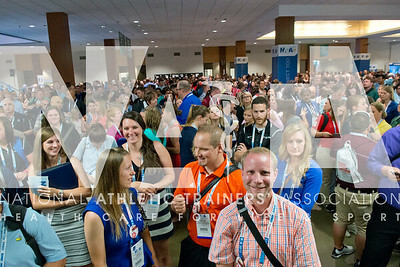 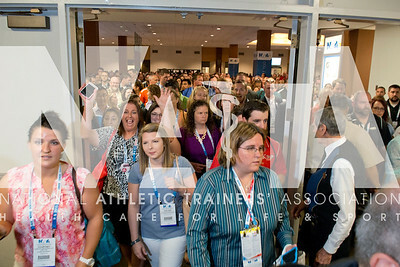 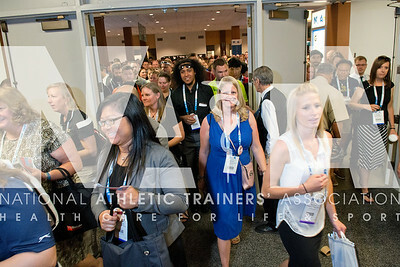 Renee Fernandes/NATA Joseph Pettitt, ATC enters the AT Expo. 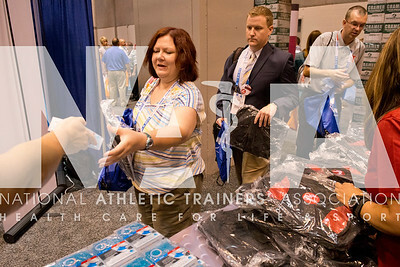 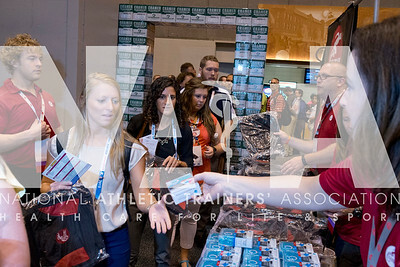 Renee Fernandes/NATA Melissa Koonce, MS, ATC grabs product in the Cramer booth.